Max Verstappen was all smiles in Melbourne. Daniel Ricciardo is already hurting, but that pain will only worsen when he sees what Red Bull had to say about its strong showing at the Australian Grand Prix. In his first start for Renault since quitting the energy drink team, the Aussie F1 star bombed out of his home race in disastrous fashion. He hit the grass and lost his front wing just a couple of seconds after lights out, then dropped from 12th to 19th as he headed to the pits. Ricciardo was lapped by race winner Valtteri Bottas before retiring after 32 laps of the 58-lap season-opener - the third time he's failed to finish at Melbourne. 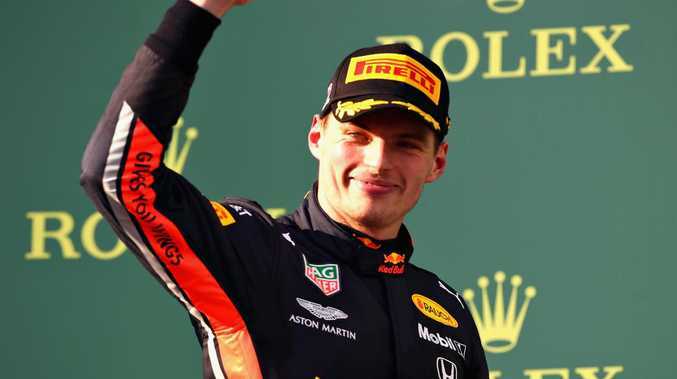 While the 29-year-old watched the second half of the race from the garage, his former teammate Max Verstappen celebrated by sipping champagne on the podium. 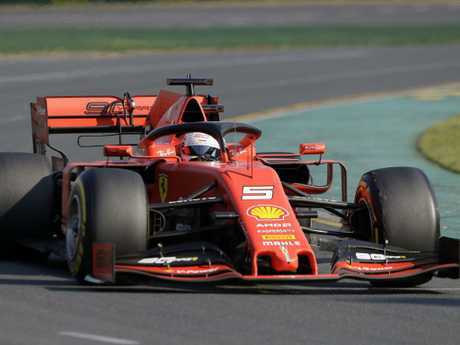 The young Dutchman finished third after a classy overtaking manoeuvre saw him get past Sebastian Vettel, who was fourth for Ferrari. Using a new Honda engine for the first time since dumping Renault after multiple issues with the French outfit's power unit last year, Red Bull's risky change looked like a masterstroke as Verstappen had enough pace to finish ahead of both Ferraris. Red Bull boss Christian Horner was glowing in his praise of Honda and said members of the Japanese manufacturer's team were in tears at the podium, such was the significance of Verstappen's result. It represented the first podium finish Honda has been involved in since 2008. Horner said the new partnership was off to a "dream start" after Honda provided Red Bull with a "great product" that pointed to a bright future. "It's got good power, it's been reliable," Horner told Sky Sports. "To pass a Ferrari, to be racing wheel to wheel on the straight with them is really positive. "We've got a good base from which to start and really develop this car. Max Verstappen had a day out. Verstappen challenged Lewis Hamilton for second place at the death and while the Brit said afterwards he was confident of holding the young gun off, Horner said the late battle was another reason Red Bull can be optimistic about what's to come in 2019. "We were more competitive in the race than we were on Friday (during practice)," Horner said. "We put Lewis under pressure. To do that at this venue is really encouraging for us. "It's great motivation, and hopefully we'll find more and more performance." Verstappen was equally as buoyed by his ability to get past Vettel and put the heat on reigning world champion Hamilton as Honda passed its first test with flying colours. 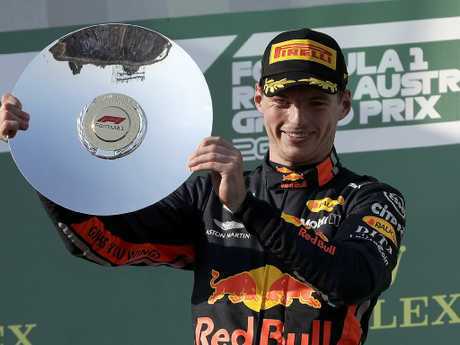 "I think in terms of speed throughout the race it was a very good step forward to last year just compared to the top speeds against the other two top teams,'' Verstappen said. "I am very pleased with that and also I think in general the engine has been performing very well without any issues, which is also very important. "I guess time will tell if we can fight for top spot (on the podium). "For Honda to have their first point ... is a great start so congrats to them." While Red Bull soared, Renault floundered. Nico Hulkenberg had a better time than Ricciardo, finishing seventh, but the Aussie will be worried after seeing what happened with McLaren driver Carlos Sainz when the Spaniard was forced to retire when flames started sprouting from the back of his car. McLaren is using Renault-supplied engines in 2019 and team boss Zac Brown said an early examination suggested the car overheated because of an MG-UK malfunction within the Renault power unit. While Ricciardo and Renault weren't looking for miracles this early in their partnership, they certainly won't have been expecting the nightmare that was the Australian Grand Prix. Ricciardo said part of his decision to leave Red Bull was because if the move to Honda power didn't pay off, it would see him treading water when he feels he deserves to challenge for a world championship. Based on Sunday's showing, it was Ricciardo's risk to jump ship that may have backfired. Lewis Hamilton couldn’t catch his teammate. 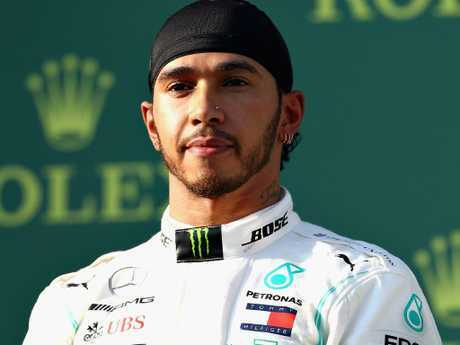 Though second place and sealing a Mercedes one-two is decent consolation for Hamilton, it's certainly not what the world champion had in mind when lining up on pole position. His start was solid, but Bottas's was spectacular. And from there the Finn put his foot down, immediately opening up a one-second advantage. Hamilton didn't manage to match his teammate's pace until lap 11 and by that point Bottas was already three seconds ahead. That gap would normally see Bottas given preference on a pit-stop but Mercedes brought Hamilton in first, on lap 16, as it responded to Ferrari's early stop with the chasing Vettel. "What's the reason we stopped so early?" asked Hamilton on lap 22. Five laps later, the worried Brit said: "I don't think I'm going to make it to the end of the race on this tyre." The gap was 20 seconds when Bottas finally made his first stop, and soon after Hamilton was under pressure from Red Bull's charging Verstappen, who had just passed the now-struggling Vettel. Hamilton got temporary respite on lap 49 when Verstappen made a critical error and ran wide onto the grass, but the Dutchman closed to within DRS range again in the final few laps. Hamilton held on in the end, but a 20 second advantage is some marker from Bottas in the first race of the season. Hamilton said he is braced for the toughest title battle of his career this season, he was talking about Ferrari. But on this evidence, Bottas is a championship candidate. WHAT HAPPENED TO FERRARI'S PACE? Sebastian Vettel was sluggish in his Ferrari. Coming into the first race of the season, the paddock's verdict was clear: Ferrari was the favourite. But it finished the Melbourne opener almost a minute off the pace. Leclerc, meanwhile, on his Scuderia debut, made mistakes at the start of the race - almost colliding with his teammate at Turn One and then running off-track when chasing Verstappen - but then closed in on fourth at the end, such was Vettel's decline. Intriguingly, Leclerc dropped off Vettel as soon as he entered DRS range, perhaps signalling Ferrari's preference to keep Vettel ahead of the youngster. Red Bull swooped in to become Mercedes early closest challengers at Albert Park, thanks to a superb drive by Verstappen. "I think we've overperformed in the race," Horner told Sky F1.